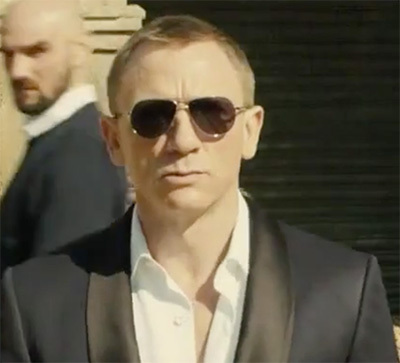 James Bond (Daniel Craig) wears a pair of Tom Ford Marko sunglasses in the movie Skyfall. The glasses can be seen when Bond puts them on right before the 'duel' with villain Silva (Javier Bardem). The glasses are still available in eyewear stores, Tom Ford boutiques and online on Amazon.com, Amazon.co.uk and eBay.